An Arizona police officer has been placed on administrative leave after shocking video footage of him violently punching a woman in the face emerged online. 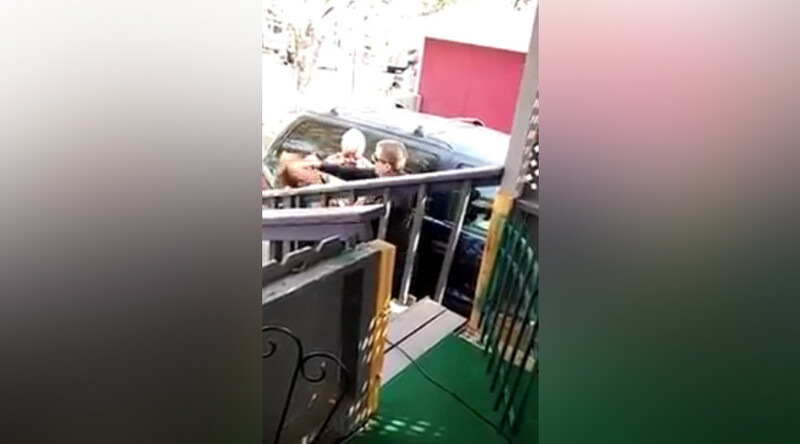 The graphic video shows two police officers attempting to arrest the woman outside a house in the city of Flagstaff. The woman repeatedly asks why she is being arrested and if there is a warrant out against her. She also requests a lawyer. The police officer, who has been named as Jeff Bonar, appears to lose patience with the woman and he hits her in the face with a powerful punch. On Wednesday Sgt. Cory Runge of the Flagstaff Police Department said in a statement that they became aware of the video on Wednesday evening. The Arizona Republic is reporting that the police were overseeing an eviction at the house where the woman was living when they seized her, mistakenly believing that there was a warrant out for her arrest. Sedillo, who is Paredes’ brother in law, said he and his mother, niece, brother-in-law and young children all witnessed the incident. He later posted a message on Facebook thanking people for their support after the disturbing video went viral.